Longboat Key real estate is characterized by impeccably manicured fairways and meticulous landscaping. This luxurious residential, condo and resort community is home to world-class golf and tennis resorts. Residential options on Longboat Key range from opulent high-rise condominiums lining the Gulf of Mexico to sprawling bayside mansions and estates. Longboat Key's beaches are pristine and things to do on this barrier island include fishing, boating, tennis and golf. Vacationers can rent Longboat Key Condos or book one of the resort's hotels. For more information contact the Longboat Key Chamber of Commerce. 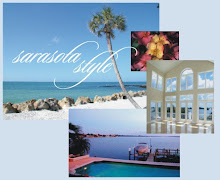 For a list of vacation properties for sale on Longboat Key, contact Annette Smith. We specialize in selling Longboat Key real estate, Sarasota, Bird Key, Siesta Key, Casey Key, and Sarasota Florida Real Estate. Let us help you locate and buy the home of your dreams.